Calca offers some of the best landscapes of the Sacred Valley of the Incas, its climate is tempered most of the time, has thermal baths and excellent archaeological groups; You will be surprised by the warmth of its people, it is one of those ideal villages to relax and disconnect from the world; Perhaps this is why Huiracocha (the eighth Inca) chose this place as his resting place. 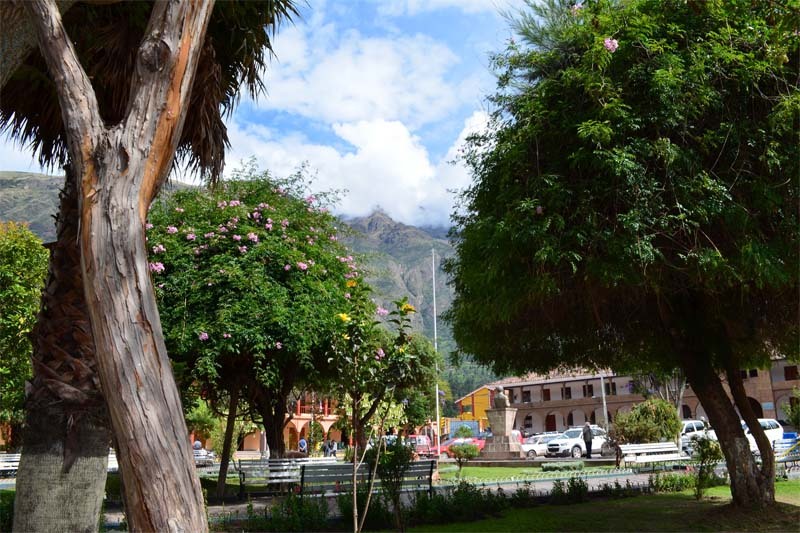 The city of Calca is the capital of the province with the same name; Is located 18 km from Pisac and 50 km from the city of Cusco; To 2,928 meters above sea level, and its average temperature oscillates between 17º C and 23ºC. How to get to Calca? 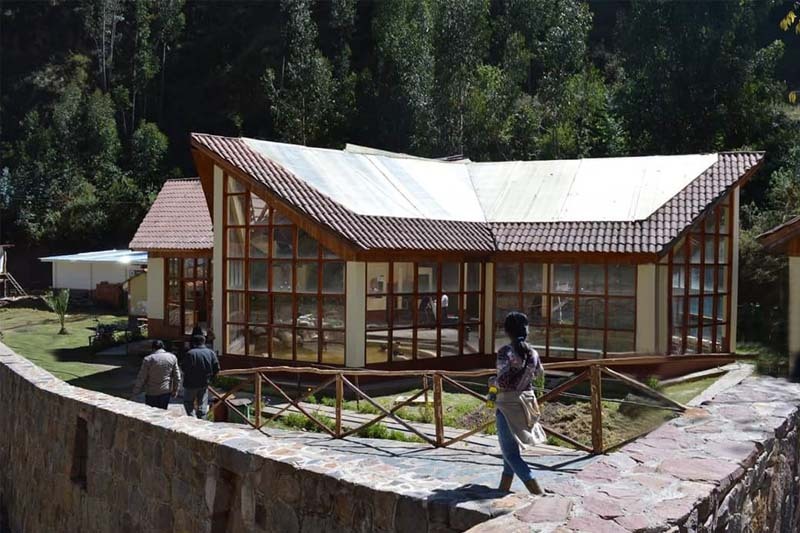 In fact, a tour organized by the Sacred Valley of the Incas, is the best way to arrive and see Calca; But if you want to come on your own, you can take the buses, minivans and cars that go from Cusco; You can approach them in the Street Puputi S/N; Will cost you around S/. 6 soles. But if you want to go something more comfortable, you can board a taxi from anywhere in the city, this will cost between S/. 60 and 80 soles. You will find much information in the chronicles of the conquest; It is said that the archaeological center of Huchuy Qosqo was founded by the Inca Huiracocha on one of the conquered settlements, and was populated by people from neighboring villages, conquered and incorporated into the empire. The chronicles “señorío de los Incas”, by Pedro Cieza de León, read as follows: “The Inca was determined to go to Condesuyo, but being tired and old, he left him. At that time he ordered that they be made in the valley of Xaquixaguana (Juch’uy Qosqo) some palaces to go out to recreate in them; And as he had many children and knew that the oldest of them, whose name was Urco who should be in command of the kingdom, had bad habits and was vicious and cowardly, wanted to deprive him of the lordship to give it to another younger man named Inca Yupanqui”. On the present city of Calca; Records have been found of its Spanish foundation, and that before being called Calca, it was called “Villa de Zamora”; Appears in many writings of the conquest with that name, and it is possible that the name of the Spanish city called Zamora, province of Castilla y León. The foundation is attributed to the conqueror Don Pedro de Zamora. The Province of Calca was created on June 21, 1825 by a decree issued by the Liberator Simon Bolivar. What to see in Calca? 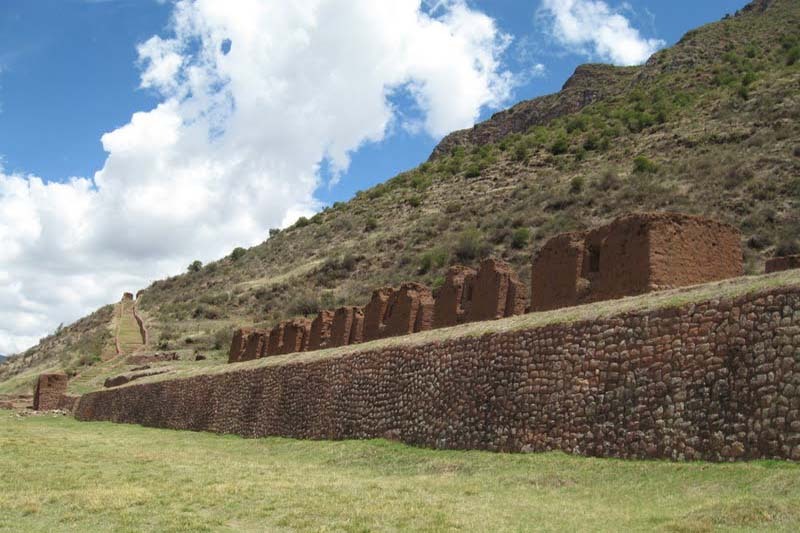 Huchuy Qosqo is a fabulous archaeological monument located 5 kilometers from the city of Calca. Juch’uy Qosqo means “Small Cusco”, but this does not seem to have an apparent reason, and this city resembles all other Inca cities, with no resemblance especially to the city of Cusco. It was known by the Inca name of K’ajya Qhawana and means “where the lightning strikes”. The safest way to get to Huchuy Qosqo is from the sector of Minasmoqo, in the city of Calca, continue for a plateau until the skirts of the mountain, will travel for some time until arriving at the monument. A three-story building.- Its first 2 floors are built of stone, these are united with great precision and with incredible architectural quality; The third floor is made of adobe. An adobe building.- It is thought that it was a craft workshop, because of the simplicity with which it was built, and because of its location. It is a rectangular building built on a huge terrace; Has several doors in the direction of the Valley, so it is thought that it was not a bedroom or a food store. You can also find platforms, an Inca trail that goes to Cusco, and foundations of smaller buildings and enclosures; You will find abundant pottery on the surface. They are thermal baths to which they are attributed therapeutic properties, against diseases of the bones; Is 7 kilometers from Cusco at 3,050 meters above sea level, its water is colorless and odorless, has a metallic taste, a clear appearance, and its temperature is around 40 ° C. It has modern and hygienic infrastructure. They are hot springs just 500 meters from the city of Calca, are in the Vilcanota river bed; This water is classified as sodium chloride and is attributed healing properties. We imagine that you do not come from Cusco in Peru, just to see the beautiful town of Calca, if you still do not reserve your tickets Machu Picchu now.